at which point it will roll over to 0. BIGBANG, EEPROM, CURRENT TIME, included. I created a clock that runs to 2,147,483,647 Trillion years, at which point it will roll over to 0. If you need something longer, then you need to write it down on a piece of paper. Connect putty to your propeller&apos;s p30/p31 debug output. slightly higher but within the uncertainties of the earlier number derived from the WMAP data. 790,000 = Fudge number. Speed of light is 299,792,458, so i stole from its middle. Countdown timer since beginning of 2018, update yours to match. Now none of us can use the excuse our clocks are wrong. This contains the spin, side (for SimpleIDE), and other supporting addons. Get PUTTY, because the serial output has ANSI command codes. P31 and P30 are the TX/RX port for serial communication. You better be ready for speed, it dumps the clock at 921,600 baud. Cheap (<$100) underwater current sensor that can be deployed at 70ft depth. Your thoughts, comments and advice are very welcome here! 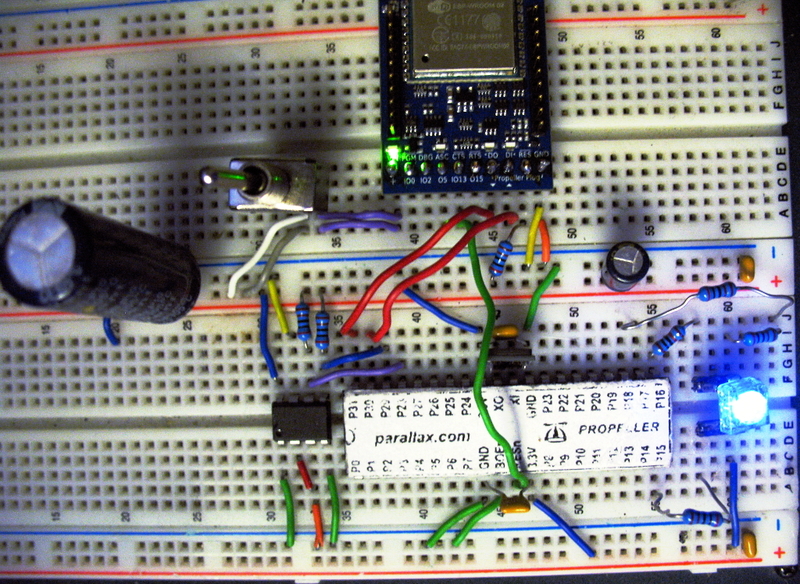 Cheap underwater tilt current sensor. You are about to report the project "A Trillion Year Clock. ", please tell us the reason.